You will go mad with delight! 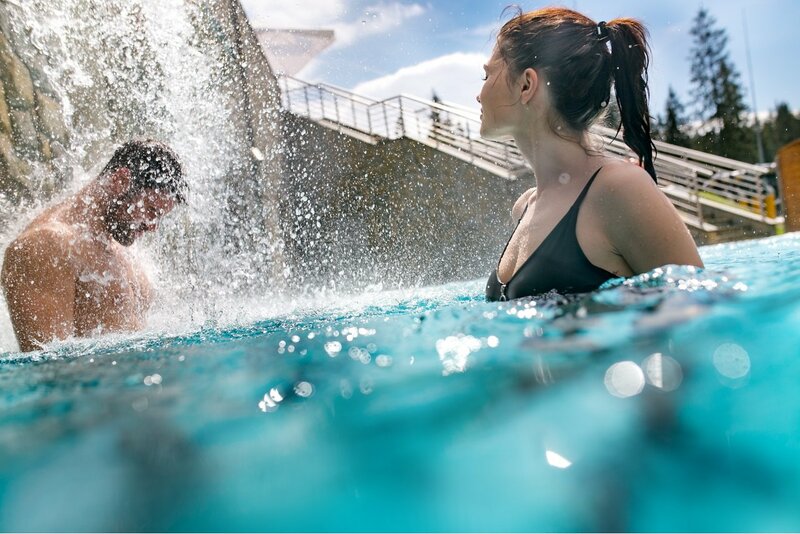 The BUKOVINA Thermal Baths is composed of 20 thermal swimming pools with water temperature of 28-36℃, which allows for all-year-round relax whatever the weather. This is also a playing zone for children and young people: mini swimming pools, swimming pools with water attractions and slides. Here, you will be able to use 8 types of saunas, including, without limitation, Roman, Finnish, mountaineer, flower, infrared and Mediterranean ones. 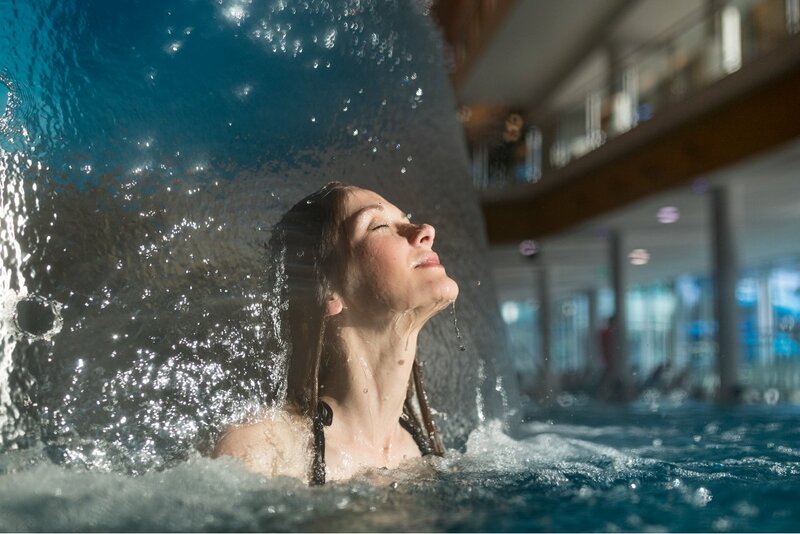 Combine recreation with therapeutic influence of thermal waters extracted from almost 2 400 m. Waters of BUKOVINA are rich in sodium, calcium, chlorine, potassium, sulphur, magnesium, etc. 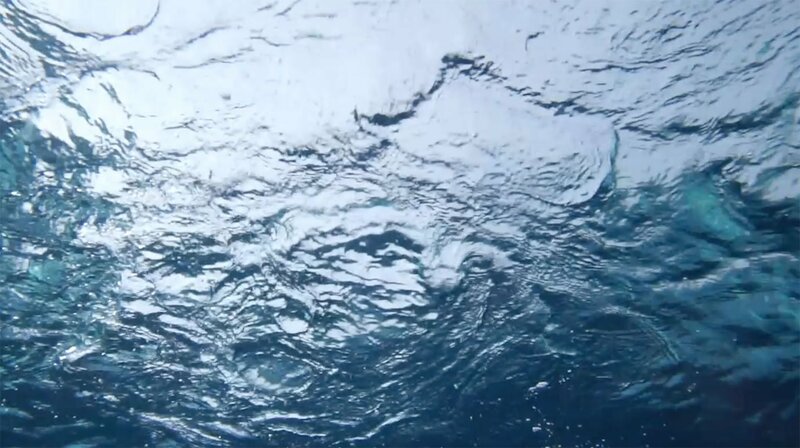 Bath in the highly mineralised water has a beneficial impact on the whole organism, including mainly muscular and bone structure, heart and vascular system. It is antibacterial, relieves pain and reduces stress. IDEAL COMBINATION OF HEALTH, RELAX AND FUN! 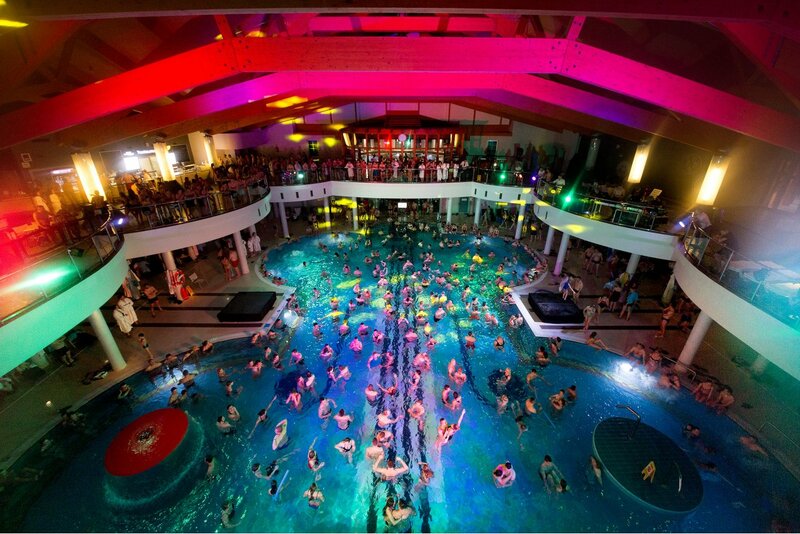 The BUKOVINA Thermal Baths is the largest complex of swimming pools in Poland and one of the most modern complexes in Europe. 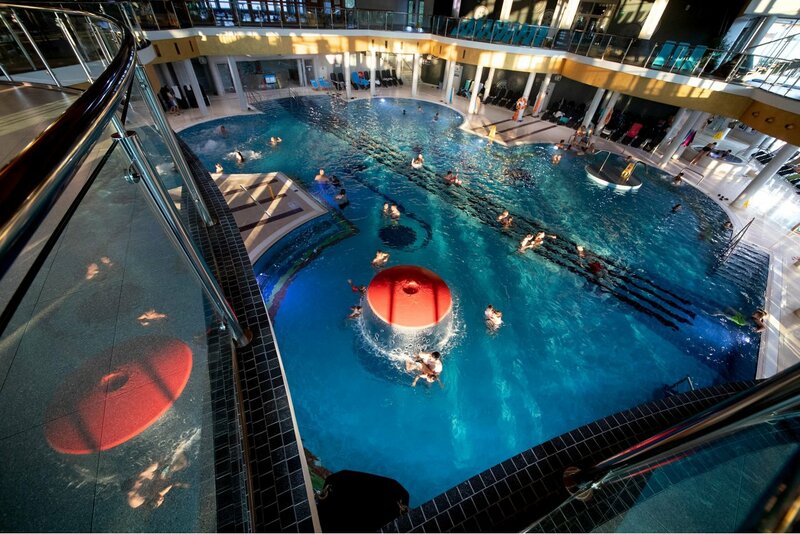 We offer 20 swimming pools of different depth: indoor pools (e.g. Banior Basisty, Bulgotnik, Bystry Potok) and outdoor pools (e.g. Cepersko Płań, Jaskinia nad Porońcem, Corny Staw). This is not all. 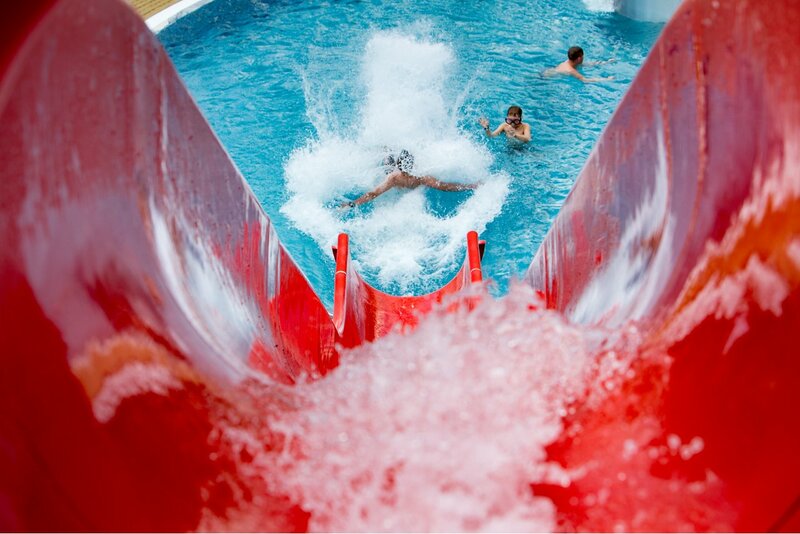 You will be able to use our slides of the total length of 100 metres: a blue one all year round and yellow and red ones in summer. Great fun is guaranteed! How about a bath in thermal waters ... at night? 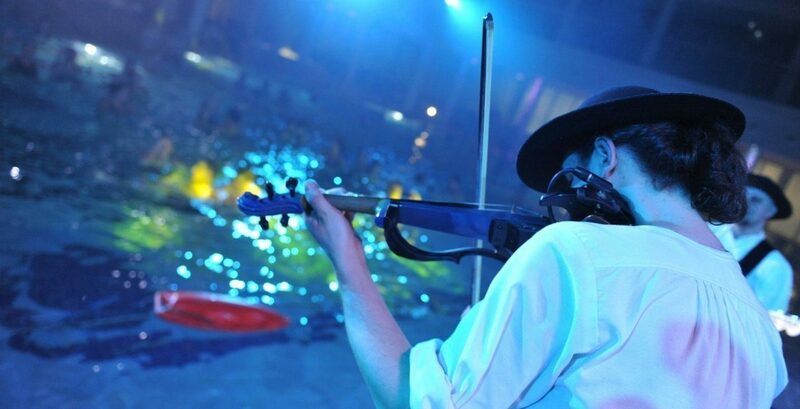 The Swimming Pool Night is organised regularly. It offers many additional attractions, like barman, magician or molecular cuisine shows, live music, competitions and surprises. We will surprise you more than once!